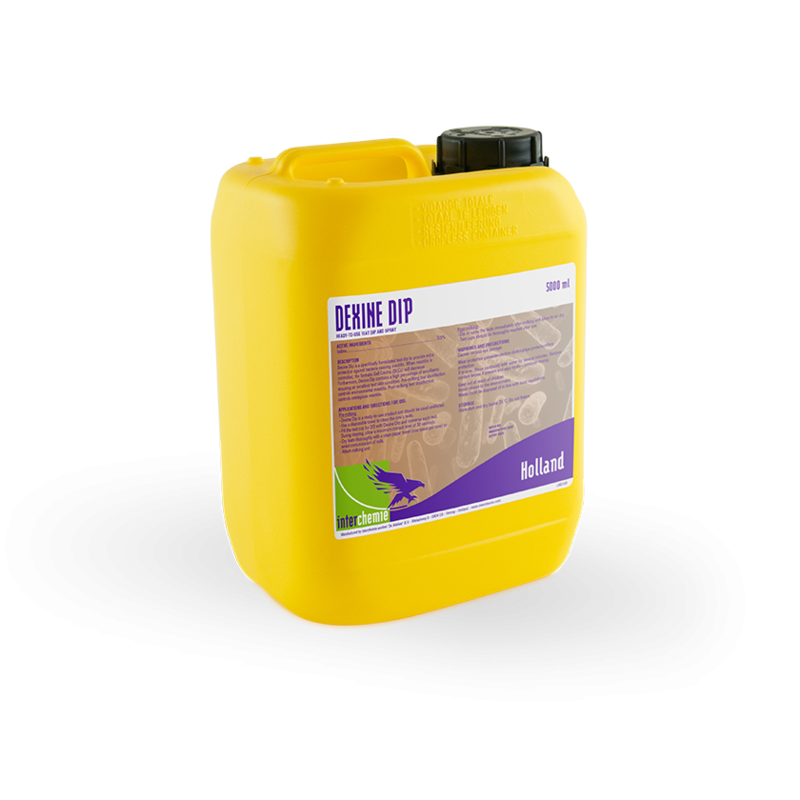 Dexine Dip is specifically formulated to provide the extra protection your herd needs during times of heavy environmental challenges. Dexine Dip is specifically formulated to provide the extra protection your herd needs during times of heavy environmental challenges. Formulated with iodophore against mastitis-causing bacteria’s providing the mastitis prevention required for high quality milk. Dexine Dip also delivers high emollient contents to soothe and improve teat skin condition. Dexine Dip help you protect your herd and your profitability. Pre-milking Dexine Dip preparations aim to remove bacteria and other contaminants, particularly the pathogens which can cause environmental mastitis such as coliform bacteria and Streptococcus uberis, and therefore aiming to control Somatic Cell Counts (SCCs). The aim of post-milking dipping is to remove any contagious mastitis-causing pathogens that may have been deposited on the teat surface. After milking, it is common practice to disinfect the cow’s teats. This is also important when a cow with subclinical mastitis has been milked in the parlour, viable pathogens may be left in the teat liner which can infect subsequent cows milked. • Fill teat cup 2/3 with Dexine Dip and immerse each teat or Spray each teat. Allow a minimum contact time of 30 seconds.